What is the AT&T 2G Sunset? In August of 2012, AT&T Inc. announced that the shutdown of its second-generation, or “2G,” wireless network will be complete by the end of 2016. This shutdown will not occur all at once. It will appear sporadically across the country throughout 2016 and on January 1, 2017, the 2G wireless network will cease to exist. Why is AT&T shutting down the 2G wireless network? Data use on wireless networks is increasing as more and more people adopt smartphones. AT&T realizes that shutting down the 2G network and using that space for 3G and 4G networks will drastically increase data capacity and speed on the newer networks. Why does the 2G Sunset affect alarm systems? Wireless alarm systems communicate via cellular networks like the 2G, 3G and 4G networks. Many wireless alarm systems were installed with a 2G compatible GSM (Global System for Mobile Communication) device that can only communicate via the 2G wireless network. Therefore, when the 2G network ceases to exist on January 1, 2017, these alarm systems will no longer be able to communicate alarm signals. 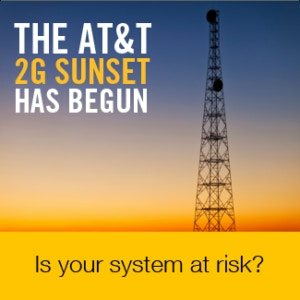 What do you need to do to make sure your alarm system will not be affected by the 2G Sunset? If your system will be affected, we will discuss the next step in making sure your alarm system will be protected from the elimination of the 2G wireless network. What does AT&T have to say about all of this? View their 2G FAQ page. Contact ADS by clicking here or call 866.837.8110 and we can determine whether your system will be affected.